Port an existing Android app to run on HP devices. Download the HP JetAdvantage Link SDK zip file from the Download page. The SDK zip file contains a more detailed Getting Started Guide, libraries, API documentation, and sample applications. Unzip the SDK and follow the instructions in the Getting Started Guide. 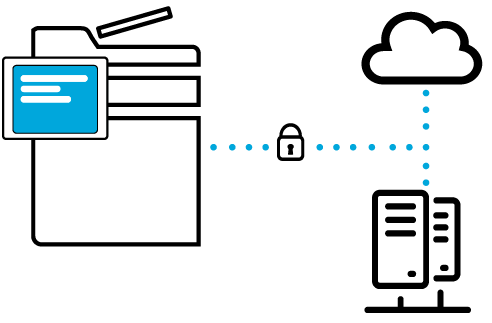 The HP JetAdvantage Link Platform lets you install your app on an HP printer, where users will launch and use your app right from the device's control panel. Your app will use the Link library to utilize the scanning and printing functions of the device. You will develop your app using many of the same tools and technologies you already use to develop Android mobile apps. The device even supports remote debugging using the Link Debug Bridge (a version of ADB).